Over the past few years, we have been involved in creating invitations for Mariska Hargitay’s Joyful Heart Foundation. Now, we have partnered up with them to design and create these sweet thank you notes and now have just launched the gratitude cards in the foundation’s Heartshop. Be joyful. Be grateful. Pass it on. 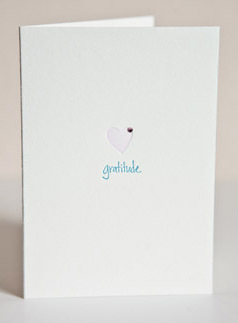 These beautifully crafted cards make spreading the message of gratitude a little easier. 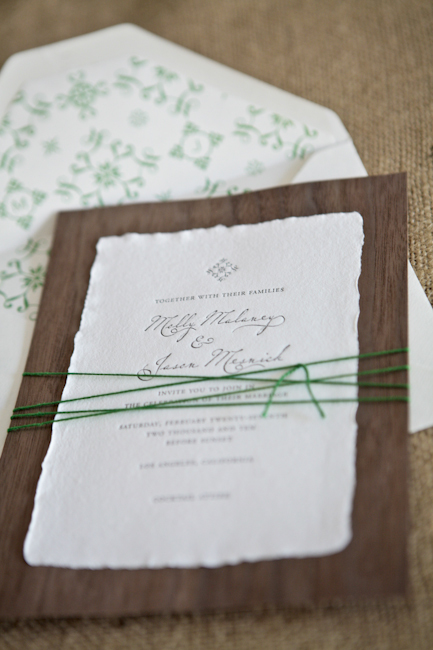 Letterpress printed on 100% cotton using soy ink, these cards also show your respect for the environment. 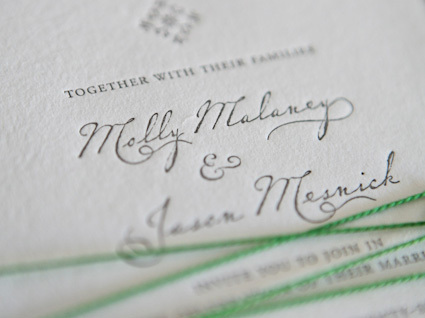 Each card features a delicate Swarovski crystal on the front and the Joyful Heart mission statement on the back. With each purchase, you will create a ripple of gratitude, extending all the way to Joyful Heart program participants, because the all the proceeds from each sale will benefit Joyful Heart programming and the survivors we serve. For this, Joyful Heart is very grateful. It’s an amazing cause and your support would be completely appreciated! And feel free to browse around our little shop for other stationery items. 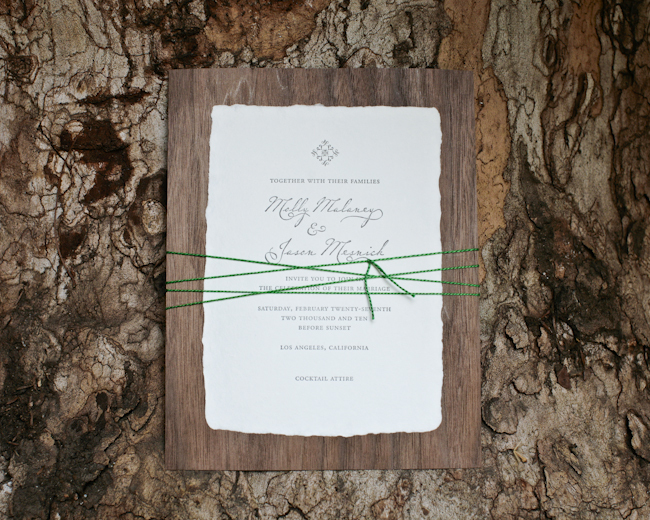 This entry was posted in art, family, paper, printing, stationery, tree free paper and tagged Gratitude, green, joyful heart foundation, Letterpress, letters, mail, printing, soy based ink, tiny pine on April 17, 2010 by tinypine. 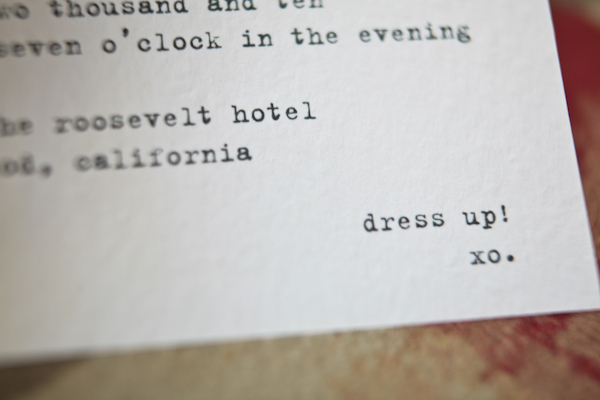 Sending letters of Gratitude – at a party? This past tuesday night the Buzz Girls put on a super fun fashion show and party benefiting the Joyful Heart Foundation. It was extremely honoring to have Tiny Pine Press be the onsite stationer! In the middle of the room sat this beautiful table that filled with Tine Pine Press thank you notes. 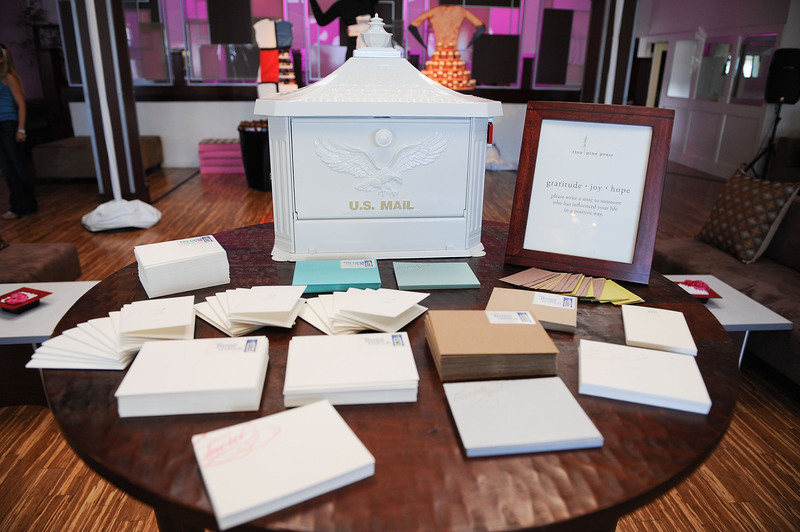 The idea was that the guests would hand write actual physical notes (not an email, or text or facebook wall post) of gratitude to someone who had helped their life in a positive way. I contributed the Joyful Heart Foundation “gratitude” stationery“(that we created specifically for JHF and you can get your own here with proceeds going to the foundation) along with a bunch of different other thank you notes so there could be a variety. 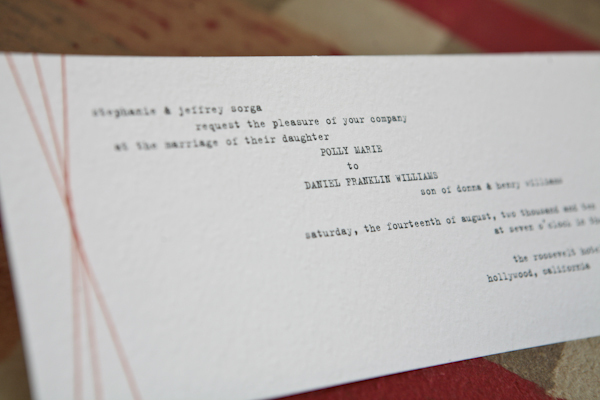 All the stationery was printed letterpress, by hand, for the event specifically because I love them. The most amazing part is that the Buzz Girls provided pre-stamped envelopes so all anyone had to do was write an address and pop them in the mail. Talk about spreading positivity around easy!!! If you happened to have the recipients address in your mind, you could just drop it in the beautiful mailbox right then… extra convenient. Oh, and here is actress Julia Ling, hugging the mailbox. 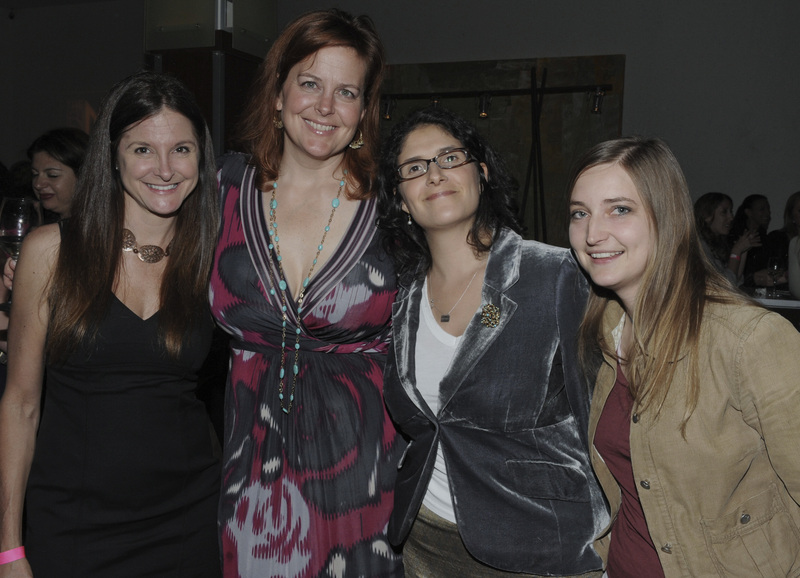 and a photo myself with Mary, Andrea and Abby – some of the Joyful Heart Foundation’s LA crew! This entry was posted in paper, printing, stationery and tagged Gratitude, Jennifer Parsons, joyful heart foundation, letter writing, Letterpress, letters on April 10, 2010 by tinypine.